As you can see, we decided to switch from the initial working title of ‘Trails to Zero’ to ‘Trails from Zero’. Both Zerker and I agree that it’s a better fit from the game. It also works better with its sequel in the sense of ‘Trails from Zero to Azure’. The gorgeous logo was originally designed by SkyeWelse, the graphic artist of the Heroes of Legend team that did the translation of Zero (and have since translated 52% of Ao’s script!). But with our change of prepositions came a new logo, so we swapped the ‘of’ for ‘from’. We hope you like it as much as we do! Summer came and summer went. And I can say, with full confidence, this was the most productive summer of my life. Being able to work on this gem of a game is an absolute joy, and I know the rest of the team feels the exact same way. It was my personal goal to reach 30% overall on this passion project before I had to return to college. Lo and behold, we did it. We’re almost 1/3 the way finished with the editing of Zero. Honestly, I’ve so proud that we’ve come this far. Now that I’ve beat Ao a couple weeks ago and I’ve been able to digest it all, surprisingly enough, my favorite Kiseki is still Zero. There’s something about the magic of the Special Support Section in Zero that can pull you in like no other game can, in my opinion. Beginning as strangers, growing closer as the game progresses… The SSS really is something else. But that’s enough of me gushing about the game. I move back to college tomorrow and with that comes less time to work on Zero. While I won’t be working on it 8-5, full-time from now on, there’s no way in hell I’ll forget to work on this. Although, I’m not going to let it drag down my grades. That Computer Engineering degree isn’t going to earn itself after all. Well, that’s everything on my end, everyone! The screenshots we promised in last blog post are still coming. Problems with rendering of the new font forced our hacker to start over, so we’ll be sure to share screens as he fixes the problem. 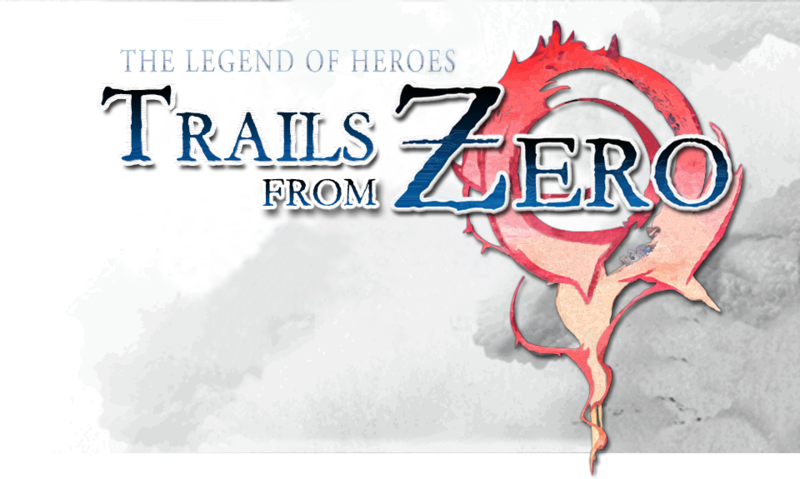 The new logo is nice and “Trails from Zero” is a wise choice. Congratulations for the 30% mark !! Keep up the good work guys !!! There are thousands of eager fans waiting to be able to play your finished version. I am anticipating it as the most important project and game of the next years. Since you talked about hacking with the font renderer: Will you also support the Japanese PC version? Or is this something that you are still experimenting, with no guarantee it will ever work? 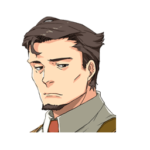 The original, translation team focused on the PSP version, so all the work for that version has already been done. Since we want to support both versions, our hacker is polishing the PC version. That includes a very nice looking font (he just sent me a work in progress shot). will the translation work in the evolution version ? If I understand how this will work judging by the previous leaked version. This will not be a patch for the retail game. You will actually download the full game with the changes they made for the translation. So we will get what ever version they are using for the translation, I can hope its the EVO version but judging from the previous leaked version its the original retail version. Oh NM I didn’t read the above. They are doing the PSP and the PC, is the PC the EVO version? No, the PC version is a port of the PSP version. Also, let me take this opportunity to correct how the patch will be distributed. What they will release is a means of inserting the English translations into game, either by python scripts or something else. The game will not be provided along with it. It is illegal to distribute games like that. Thanks for clarifying. I already purchased the PC version of the game. Now that I know it will be a patch I am going to also purchase the Evo version in hopes the patch will work on that too. NM looks like the only Evo version is the PS Vita, there is no PC EVO version. I found out the PC version is the Chinese version converted to Japanese by Falcom and released in Japan. Its suppose to be the best and latest version. I got mine through Play Asia if anyone else interested. Thank you for all your hard work. I swear I’ll be crying tears of happiness when I finally get to play Zero (and Ao); and I’m sure a lot of fans feel the same way. Tyvm for all the hard work! And not to mention you guys really been consistent with updates! Keep up the good work you guys and have a safe journey to college zerker! Is this game will be patched with evo voice? We all know that evo version from psvita have full voice dialogue, not just in battle but in every scene with the dialogue in it. I just know that ZhenjianYang from github has completed the voice patch from the evo version for psp version, so is it possible? It is possible. He just needs to know if they’re using the Japanese or Chinese version of the game. As of today, a very specific Chinese version, updated to 1.1, supports the voice patch. If this one is based on the Japanese one, I’ll let him know and we’ll work on making voices compatible.